Hello! Long time no see! I have been crazy busy and then got sick this week and have been completely shut down. Ugh. 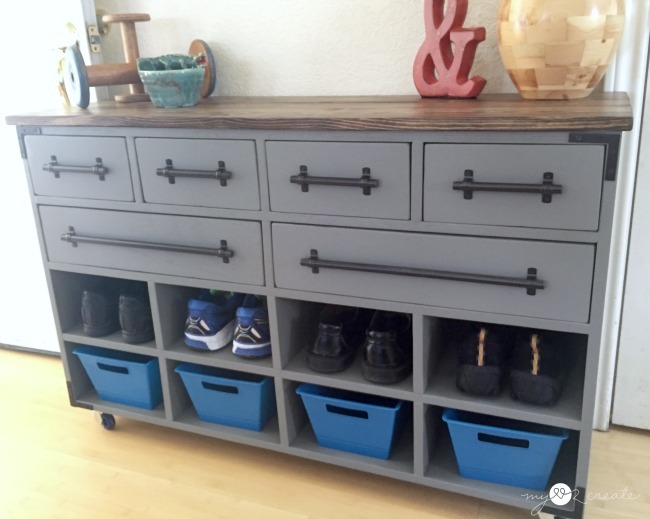 So I am thrilled to FINALLY share with you my Shoe Cubby Dresser! And I also have free building plans too so you can build your own!! Woo hoo! 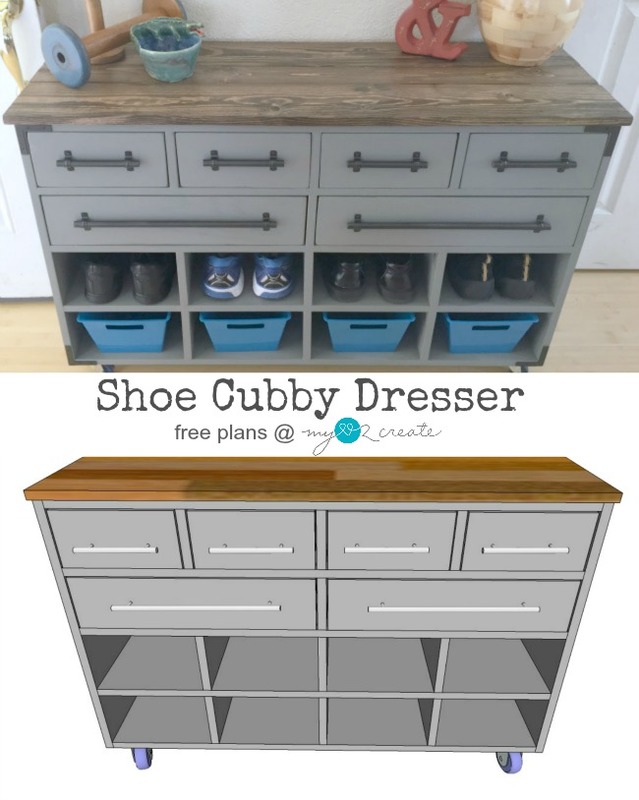 Click HERE to download free PDF Shoe Cubby Dresser Plans! 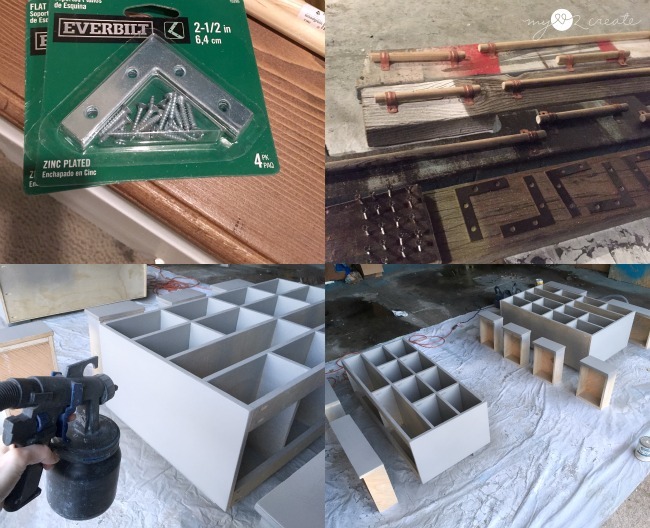 Originally I was going to share this as my Organize Build Challenge project, but I mixed up my dead lines and instead posted my Video Game Storage. So this project has basically been almost done for two weeks. 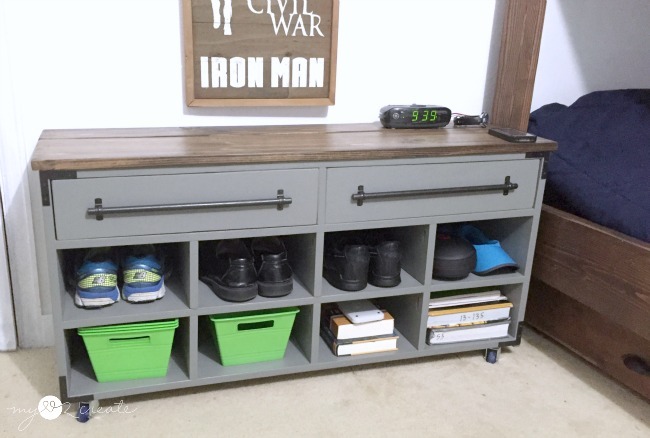 This spot in my boys room was the inspiration for this shoe cubby dresser. That bin is full of extra lego pieces, and what you can't see are the shoes all over the floor behind this shot. 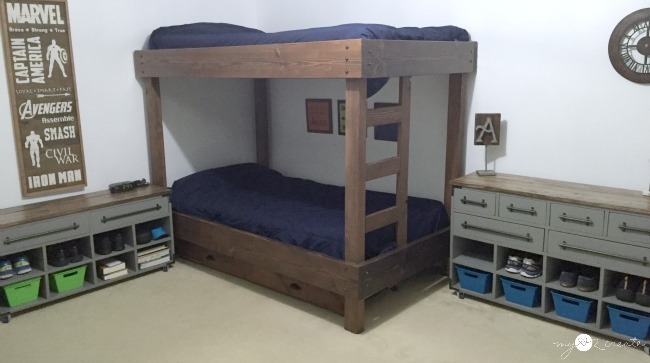 The shoe storage under the bed that I made was great, but the night stand had to be moved to pull it out, and it just wasn't working. So I drew up some plans to fix the problem. After cutting all the wood and drilling pocket holes I started by adding my top supports to my side pieces. 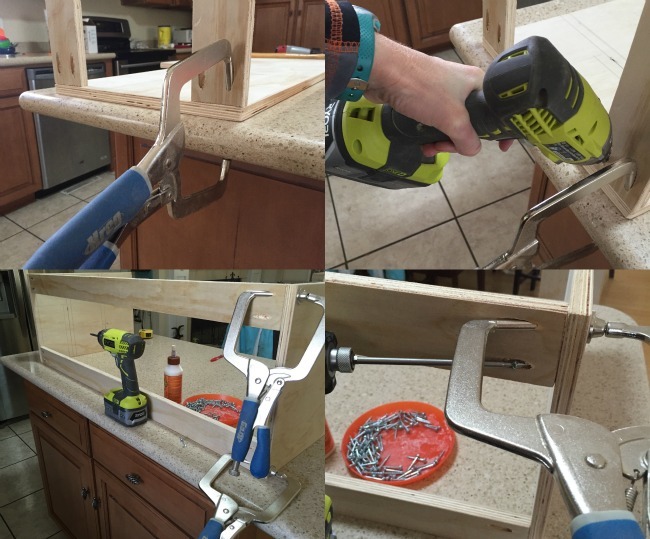 Using my Kreg Right Angle Clamp as my extra pair of hands. 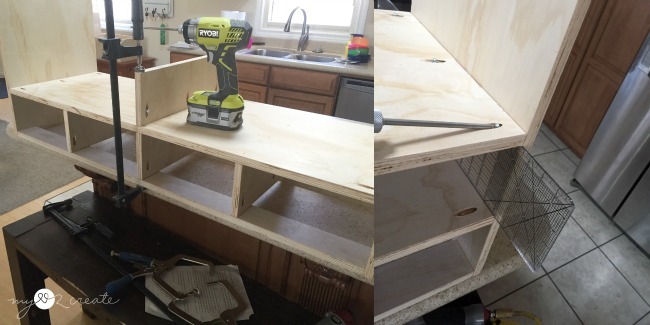 Then I started with adding my drawer divider pieces by attaching them to the top supports. 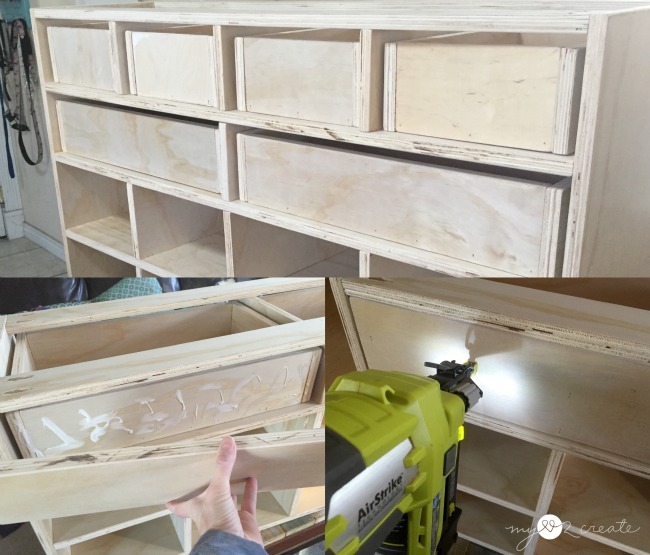 Next I attached the shelf with pocket hole screws and then using my Ryobi Nail gun I nailed through the shelf into each divider piece. Then the pattern just repeats. 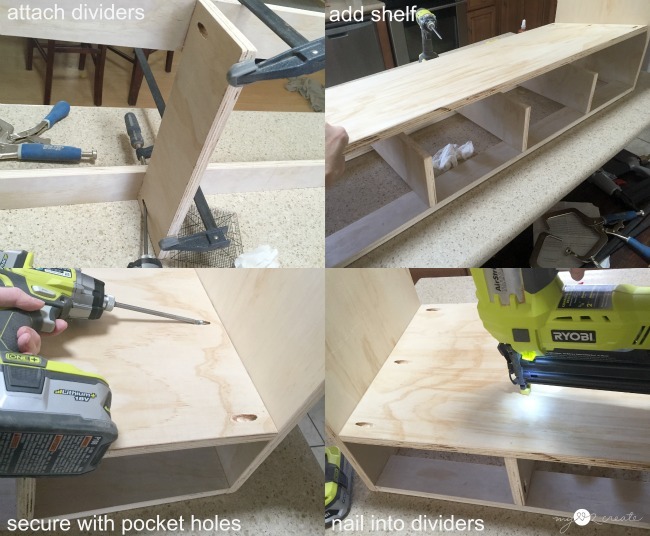 Attach divider(s), then attach shelf. :) I found that my quilting ruler was the perfect width as a spacer for my drawer dividers! Ha ha, I use it all the time for building and paper crafts, but hardly ever for sewing! You can see I used a long bar clamp to help hold my middle divider in place while I drilled in the pocket hole screws. 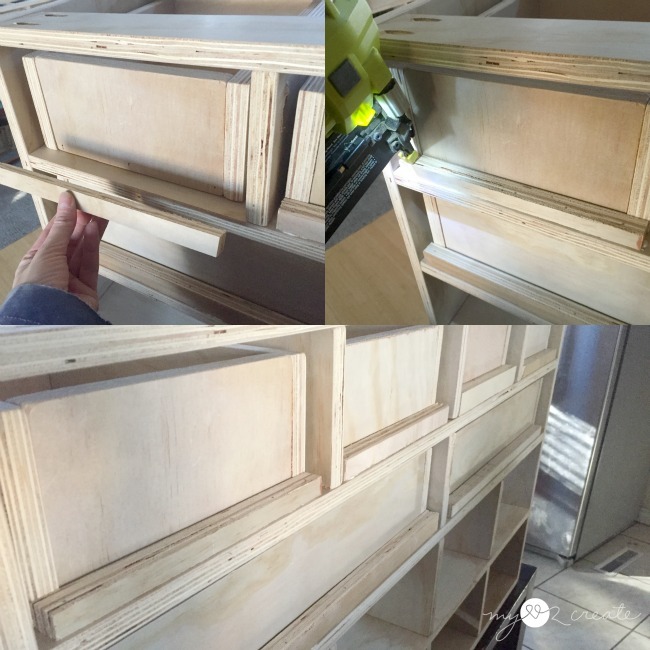 I used scrap wood I had on hand to build my drawers and it was 3/4 plywood, to save money I recommend using 1/2 plywood to build the drawers, if you do, just modify the drawer plans a little to make them fit. I also wanted to make sure the drawers wouldn't push in too far, and hit the back piece so I added some scrap plywood strips for drawer stoppers. I just glued and nailed them onto the back of each drawer section. 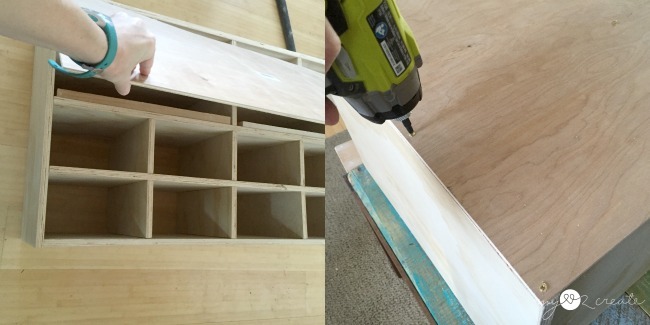 I made sure I left 3/4'' in the front of each drawer for the drawer fronts to be added. With the drawer stops on the back I just had to glue and nail on the drawer fronts. Then I attached screws from the inside for added strength. I made sure to leave at least an 1/8'' of an inch on the sides and top. I opted not to use drawer glides to save on money and they slide just fine. You can also apply wax to help the glide more easily. For the back piece I used 1/4'' plywood and simply screwed it on. I did measure and mark the back so I could add some screws in the middle as well. For the top I used two 1x6 boards with a 1x4 sandwiched in-between. I put them together with pocket hole screws on the back. Do you like my handsome helper? He put all the screws in place for me! :) After applying pre wood conditioner I mixed some special walnut and jacobean minwax stains to stain the top. Then I sealed it with 3 to 4 coats of poly, sanding with 400 grit sandpaper between coats, for a nice smooth finish. I did not want to buy expensive hardware...so I looked for a cheaper option. 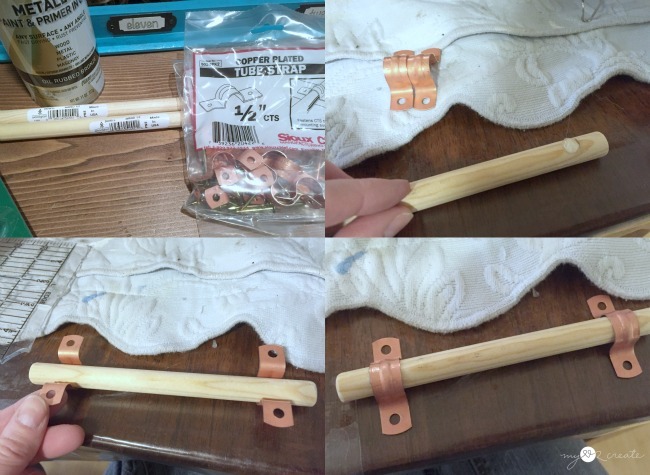 I found some Copper Tube Straps that I thought would be perfect to hold some wood dowels. I got 1/2 size in both, but the copper tubes were still a little too big. So I just hot glued the wood dowels into the tubes and that was it! 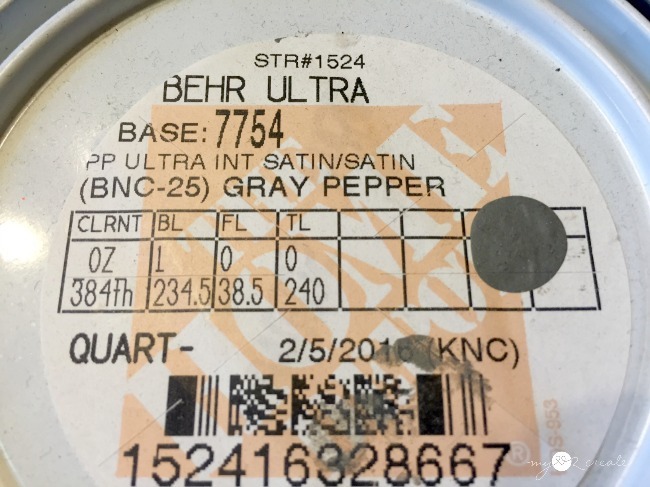 *Update, I had a lot of interest in the paint color...so here it is! I used my Home Right Finish Max Pro to paint the shoe cubby dresser...oops I mean dressers, I did make two. A tall one and a smaller one. After adding the hardware (casters, pulls, and corner braces) and using my Ryobi Nail gun to nail on the top I was done!! I love the look, it is just what I wanted! 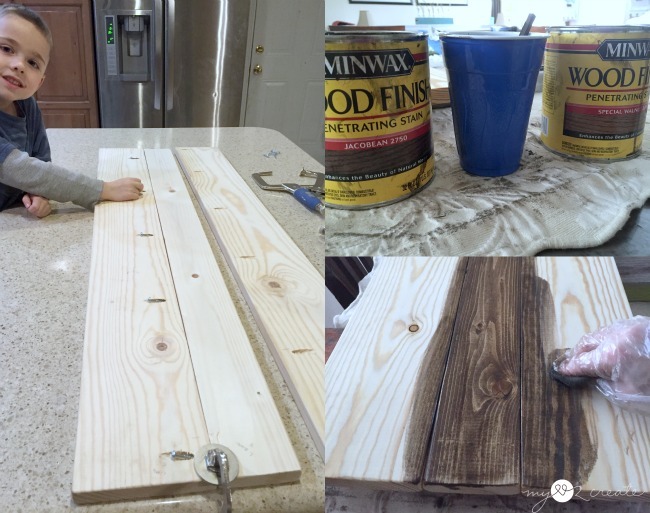 The pulls work great and saved me a ton of money, and really, they were super easy to make! I love the top too! It makes me happy to see such pretty wood! I had some dollar store bins that fit perfectly, so just incase your kid doesn't have 8 pairs of shoes, you can use bins in the cubbies! 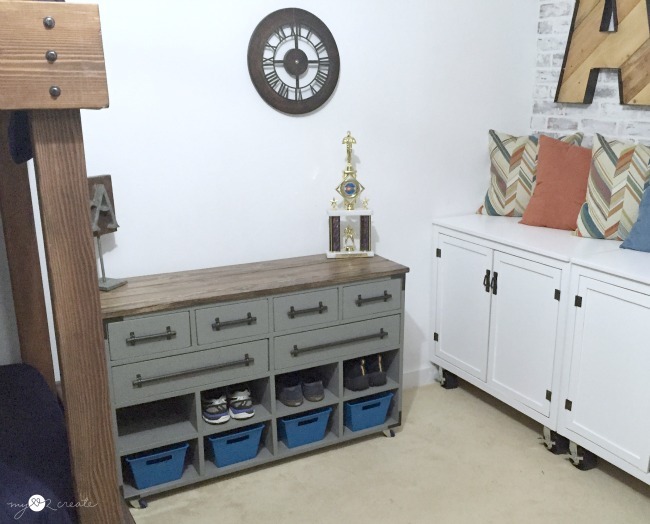 This would be an awesome mud room or entry way bench because of all the shoe storage. All the "extra" lego pieces have a nice new home. 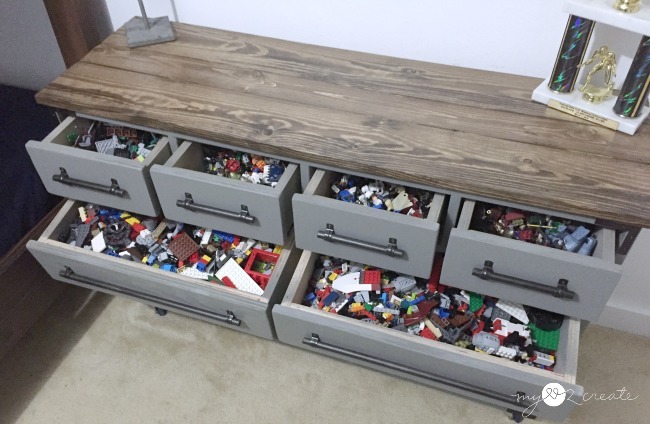 Good Grief, you would think the Lego Tables would have been enough storage! These drawers are easy to pull out so the kids can sort and build in a snap, then put them back just as easily. At least this area looks better, and now the shoes have a home! It is funny because they couldn't find several pairs when I was taking pictures...but eventually they will fill up those spots! Here is a shot of both of the shoe cubby dressers in the room. 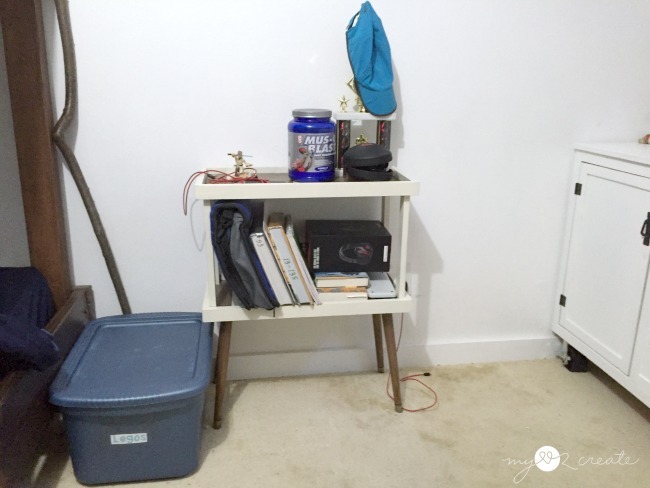 It really is such a small space for two teenage boys, so this will help contain the clutter! At least that is the plan! 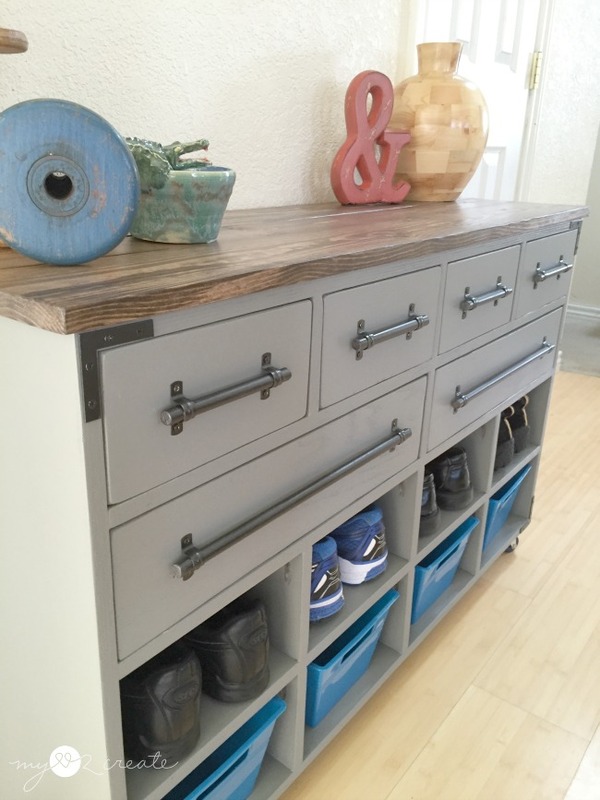 Do you need shoe storage? This just might be the answer to your problems! Come back later today for something exciting and new...I am going to start co-hosing the Creativity Unleashed link party! 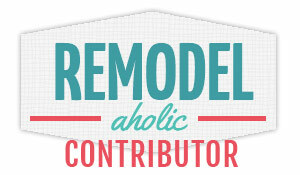 I am sooo excited, so please come and find inspiration every Thursday at 7 pm EST and link up your projects! Holy smokes and you built two! 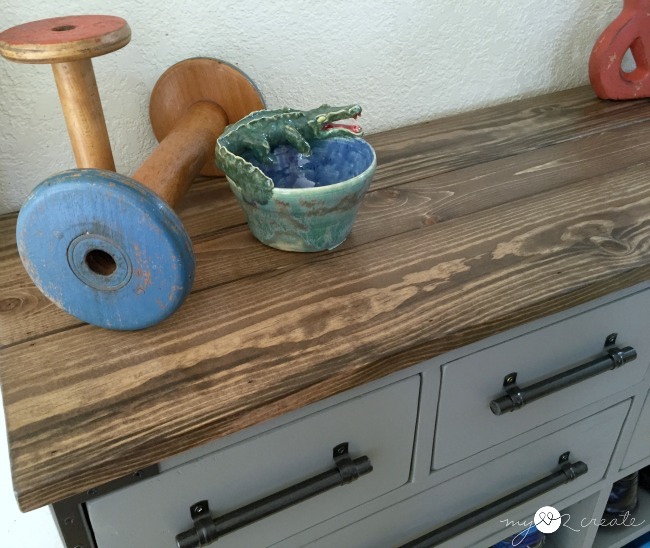 Love the pulls, the color, all those drawers... Love it all! Amazing job as always, Mindi! Those turned out great Mindi! You are so talented! You need to have your own tv show! 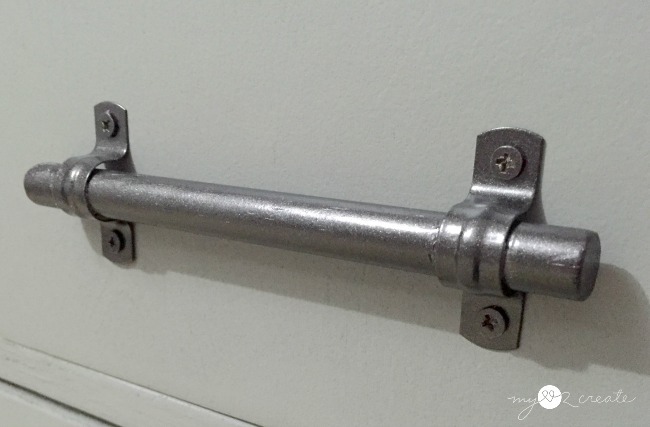 ;o) Thanks for linking up to Friday's Furniture Fix! Hi, Mindi - this is seriously awesome! Love the hardware, it looks so expensive. I need this dresser! Beautiful! 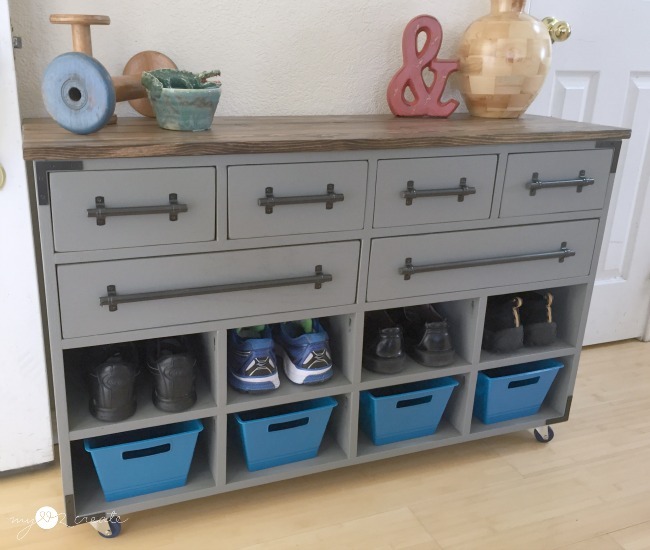 How much did it cost you to make the shoe organizer one? And where did you get that Avengers sign from?? Thanks! 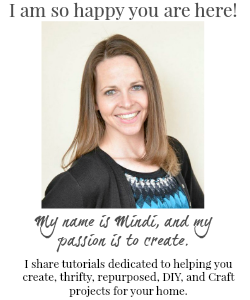 Mindi, I just LOVE everything you make! Beautiful and functional! Awesome piece. Love this idea! It turned out wonderfully!! Thanks for sharing it with SYC. Wow, love it, what an awesome build! And I love the handles too! Listen I am not usually left with my mouth open after a project but this dresser is just my style and those pulls!!! OMG!! I am a new follower! I absolutely love it! Shoe Cubby Dresser looks very interesting to me. I would like to try this. Thanks Mindi. Good job Mindi. Really love to see your work and your cretivity. Goodness, adore it, what a great form! Also, I cherish the handles as well! i love the nicely built furniture with the cordless drill. That is an amazing dresser! I want one!! !